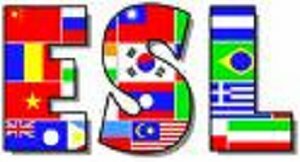 Welcome to the English as a Second Language (ESL) program at Sharon City School District, where we teach children from all over the world. We enjoy learning about many different cultures while sharing our American culture. Our program is ESL pullout, meaning students learn English in a literacy-rich classroom from one to three hours daily, according to their English language proficiency. Phonics, teaching students to decode and spell words independently. The curriculum is monitored for effectiveness in student acquisition of the English Language with new components added as needed.